The Nifty/Thrifty 50 - the disposable lens? Canon's 50mm f1.8 II is probably the worst kept lens secret around. With a street price of $75, legendary sharpness and fast f1.8 optics you cannot get more bang for your buck. 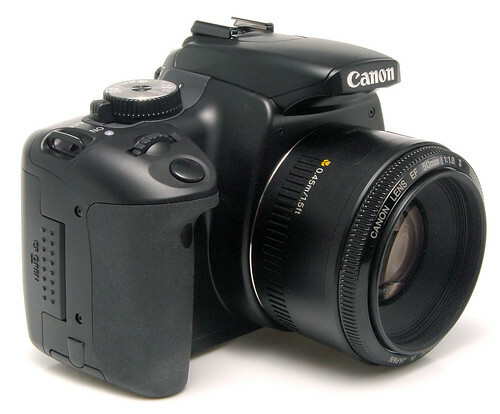 It is both the lightest and cheapest EF lens available from Canon; in fact, it is light to a fault. Everything apart from the optics seems to be made from cheap plastic (including the lens mount). Picking up the lens alone feels like a cheap toy. When you put it on you camera it's as if there's nothing there. The plastic fantastic doesn't have a focus scale, or full time manual focus - with its tiny manual focus ring it's hard to focus manually even in the best of situations. It doesn't have a USM focusing mechanism but the old fashioned micro-motor. In use, the AF is a little noisy and buzzy and not particularly fast. Compared to the previous, mark 1, version, the build quality is horrible but this might just be deliberate. 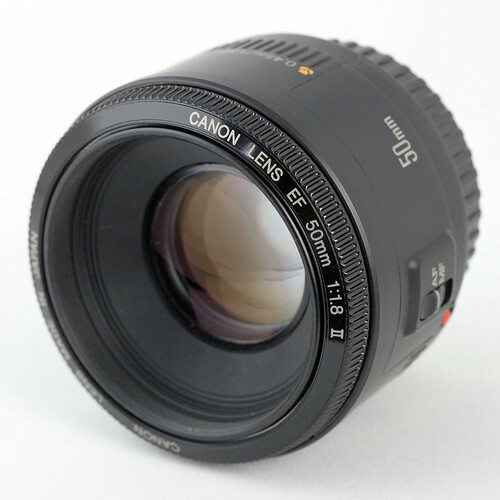 Rumor has it that Canon could not sell many copies of the more up-market 50mm f1.4 because photographers were already satisfied with the f1.8, so they made the Mark II less attractive. Certainly, if you hold a mark I and II in your hands you will see where this rumor comes from. What the two lenses share, however, are the same optics. No zoom lens that I own or have used can quite match the sharpness of the 50mm f1.8. Of course, being a prime lens the 50 is not as flexible as a zoom but, if you're prepared to move your feet, it is very useful. On a crop fact DSLR it is the equivalent of about an 80mm lens which makes a great portrait lens. I also use it in low light situations where I don't want to have to use flash. Crank up the ISO a bit and mount the 50mm on your Digital Rebel and you can shoot in most party or group situations with the added advantage that the combined weight of this rig is not much more than a point and shoot. I would not recommend the nifty fifty as your only lens, although I have heard beginners starting out this way. I would recommend it to anyone, especially those on a budget, as an early purchase though - it's so light you may forget that you're carrying it, but when you do remember you will find it very useful. The build quality may be awful but the optics are fantastic. If it breaks after a couple of years you can throw it away and replace it without any regrets.